With the Ship control a set of universal icons allows you to operate the main functions of the boat. Everything is at your fingertips and the boat obeys your every command. 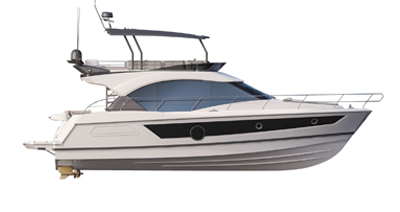 On the Gran Turismo 50 and Swift Trawler 47, you can control your navigational data, fluids and engine. You can also control the lights, air-conditioning, Hi-Fi, and manage electrical sources (AC) and bilge pumps. The number and nature of the functions operated by the Ship control are adapted to each different boat model.